At the recent AgroVision exhibition in Nagpur — India’s biggest such event —vice-president Venkaiah Naidu, in his inimitable style, called him ‘Niteen Gadkari’. He is one of the most crucial ministers in the Modi cabinet, handling three vital infrastructure ministries — roads, shipping and water resources — a fact that invited Naidu’s humorous encomium. 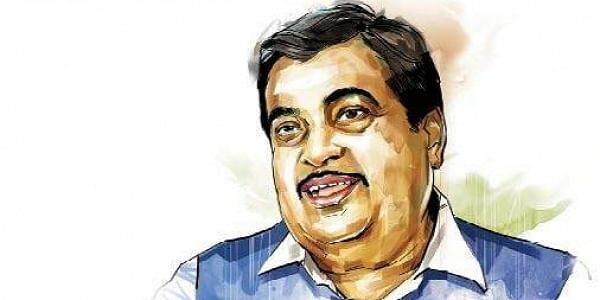 Nitin Gadkari has the image of a doer and an achiever. As a corporator in Nagpur, he is known to have raised crores by selling recycled sewage water. At the moment, he is on mission mode to remove the tragic taint his home turf — Vidarbha — has acquired as a ‘suicide belt’. But he’s also hands-on across a wide range of water issues -- whether it is the Polavaram project in Andhra Pradesh, or Cauvery river sharing, or cleaning up the Ganga, or the Brahmaputra floods. He is also the key factor in how roadways expansion will produce jobs by 2019. Water is an issue everywhere — from pollution in our rivers to disputes over river water sharing. At AgroVision you spoke about irrigation and access to water solving the problem of Vidarbha farmers. After over 1.4 lakh farmer suicides, Vidarbha needs a solution for sure. How do you mean this? It’s an integrated `6,000 crore project plan sent from my ministry (Water Resources and River Development) to the World Bank. It will improve water facilities and the capacity of several states—Maharashtra, Karnataka, Telangana, Andhra Pradesh and Gujarat. And if we extend our plans to Odisha, Jharkhand, Chhattisgarh and Rajasthan, it will be truly transformative. The Ghosikhurd project in Vidarbha too will be completed. You said the Ghosikhurd irrigation project has been languishing since Rajiv Gandhi’s time, and is now being completed on a war footing. It started 35 years ago. We’ll see to it that it’s completed by 2019. The project cost has grown enormously, from Rs 461 crore to a `7,777 crore, because of the delay. But I’m not short of funds, and we’ll get it done. Instead of water canals, we’re laying pipelines — 99 km on the right bank and 23 km on the left — that will reduce land requirement, cost and future wastage. Some 2,50,800 hectares across three districts of Maharashtra will get irrigated. But resettlement for big projects is an issue. What about the question of human displacement? Farmers will be immensely benefited, the suicides will stop. There’s also the Daman Ganga-Pinjal river connectivity project — the Centre’s giving 90 per cent of the money required (`25,000 crore). It will solve the water issues of Marathwada and North Maharashtra 100 per cent. The water capacity will go up like anything. But isn’t there a serious rethink the world over on big dam projects? It’s a microscopic minority of critics who have little concern for water availability and always try to come in the way of development. We’ve to do a balancing act. When farmers don’t get water to drink or irrigate their fields, such criticism doesn’t solve their problems. We have to save our farmers from a situation where they don’t have to take their lives. We’ve to create the infrastructure that will make the village economy and farming viable, attractive. So that the youth don’t have to run to the cities. But we’re open to all ideas, small and big dams, small and big irrigation projects — I’ve kept my mind open to innovative ideas. Even agricultural land gets submerged under big projects. Odisha has some problems with Polavaram, the Andhra Pradesh CM too has been complaining about funds. No problem, everything is sorted out. Odisha’s concerns have been addressed. Our team has visited. The Centre is funding the Polavaram project…you’ll see we will connect Godavari, Krishna, Cauvery, the tributaries. That will solve our problems up to Tamil Nadu. We have a vision, I’m working towards it. Funding is not an issue. We’ll double our irrigation potential. Your big challenge is Namami Gange. Right since Rajiv Gandhi’s time much money has been sunk into cleaning the Ganga without any tangible result. Forget the past, we’ll give results. I’m doing it differently, engaging the public as well as the private sector. It’s not something only government officials can do. I’m not saying it’s going to be easy, it will take time. The projects we have assigned now — STPs (sewage treatment plants) — will take two years to come up. But by 2019, I’m hopeful the BOD and COD levels (the two pollution level indicators, biochemical oxygen demand and chemical oxygen demand) will improve before we go to the elections. Kanpur (which has tanneries) is a problem area, but we’re talking to all stakeholders and the state government to find a way out. I’ve got positive responses. We’re fast-tracking all projects. Once the water is clean, the flow of Ganga will automatically increase. The latest STPs have been awarded in Varanasi and Haridwar. They will come up in all places. In Allahabad too. I’ll divert sewage water from Ganga to the railway sheds in the vicinity...use it for cleaning trains. Nothing will be wasted. I’ve divided up the banks in terms of responsibility. I am asking the private sector to take up areas along the river — construction, operation and maintenance (of STPs also) through SPVs. Some 40 per cent will be paid on completion of construction, and the rest over 15 years of operation and maintenance expenses — in total 93 projects have been approved. About 12,000 MLD of sewage is emptied into the Ganga across 11 states, from Uttarakhand to West Bengal. Tackling all of it will take a little time. As part of it, I’m also initiating a plantation exercise across 4,500 villages -- with geo-tagging, so that the saplings actually grow as plants. People also have to take ownership of the projects for it to succeed. Would you have liked to head an integrated infrastructure ministry, including the railways, as was being suggested? But China is planning to build a big dam to divert water from the Brahmaputra. That’s an international issue, I should not be talking about it. They (China) are doing many things to disturb us, including not sharing river water data. We too have plans…we’re not sitting idle. You have your plate full. In the government’s latest Rs 6.92 lakh crore infrastructure package to boost the economy, your other ministry — Roadways — has been given a big chunk, primarily for employment generation. But a part of it is for maintenance. And with the part for new projects — 83,677 km of new roads — isn’t land acquisition an issue? I will not deny that there are issues, litigation may arise. But leave it to me. I have no dearth of funds, so what we’ve set out to do will be done on a fast track. The results will be evident. On the political front, in the BJP’s bastion state Gujarat, isn’t this going to be a tough election after 22 years of uninterrupted rule? No one should have any doubt that we’ll form the next government in Gujarat and win Himachal with a two-thirds majority.